The 2016 Met Gala Benefit is celebrating the opening of the Manus x Machina: Fashion in an Age of Technology exhibition with a ‘man vs machine. 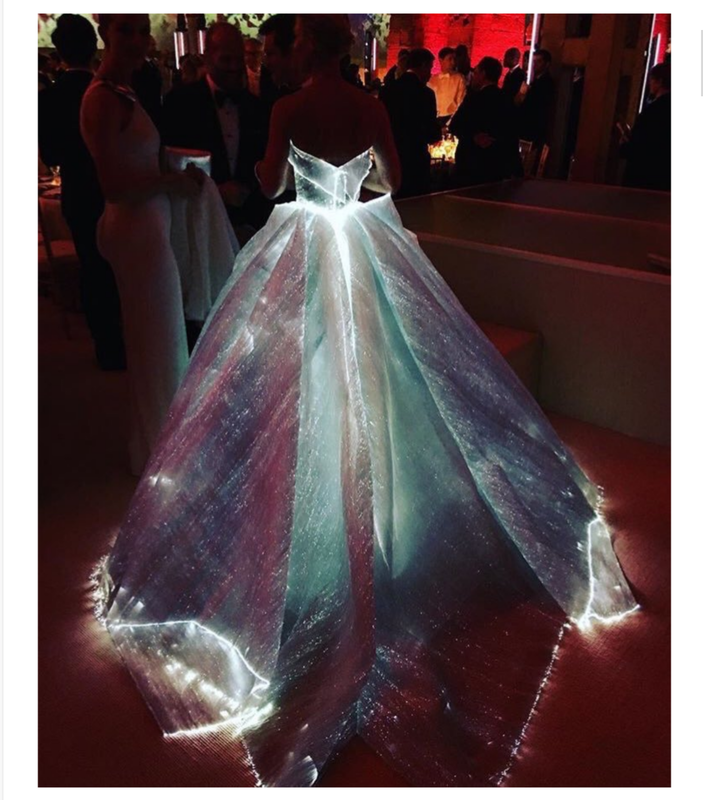 The actress Clair Danes was stunning wearing this Zac Posen gown complete with fiber optic lighting. Incredible! Congratulations to the genius of this amazing designer.